Hello Hoppers! 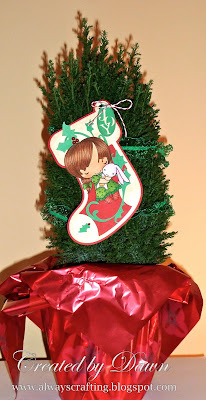 Welcome to my blog and the 3rd Annual TGF Customer Holiday Blog Hop! Two Grand Prizes will be drawn for the participant's creations and a random hopper will ALSO win the ENTIRE upcoming January Release! That's 6 sets in all- a HUGE prize...and the only way to win is by participating in the blog hop! For my project today I made two holiday stockings to decorate the little tree in my kitchen. :) I am entering my project into the HOLIDAY category. I had to make a two stockings one for a girl and one for a boy! Now head back over to the TGF blog to continue onto the next stop along the customer blog hop! Thank you for stopping by! Have a great holiday! 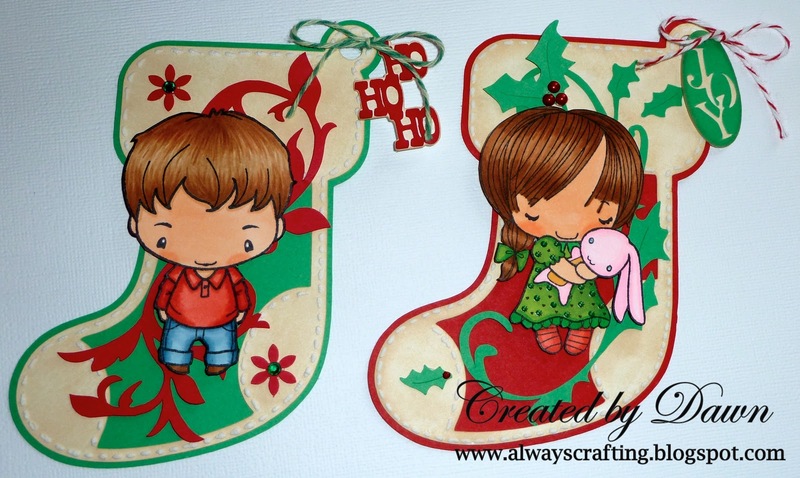 Stockings, HOHOHO tag, Joy tag- Cricut Cartridge "Very Merry Tags"
oh my goodness- these stockings are BEYOND cute! I Love them!!! So glad you came out to hop w/ TGF today- thanks so much!!! Darling stockings and love how you used non-holiday images and made them festive! Awww...these are precious! Just melt your little heart. Oh my. These are WAY too cute!! Such adorable stockings. Love the traditional colours you've used on each of these and the bakers twine is just perfecto!! these are so great. what an awesome idea. thanks for sharing. These are absolutely adorable!!! One of the best projects I've seen on the hop so far! oh!!! I loved both holiday ornaments, they are so cute!!! love those stockings!! they are too cute! happy holidays! They are too cute. Love your ornament. Aw those stockings are adorable! Oh I love your stockings! They are so cute - just like the images you used! Wow, these stockings are beautiful! I would love to have a tree full of them. I just LOVE THESE.. they are just too cute.. Perfect for a class room gift/project. Your stockings are darling. They would make for a lovely tree. These stockings are so very cute..love them. I am saving them to my file. Awwwwwwww....so stinkin' cute! 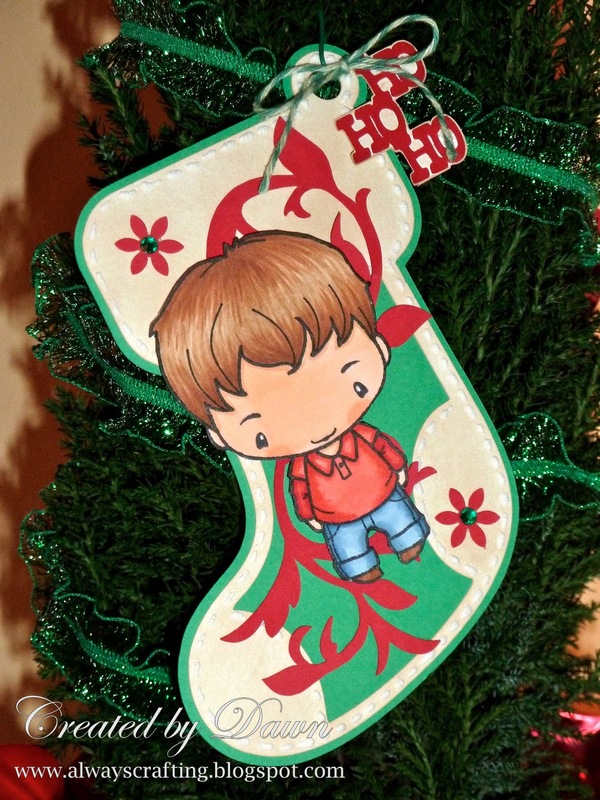 I love the images on the stockings and they are adorable on your mini tree! The stockings are so cute!!!! Those would be great on any tree!! These two are adorable! Beautiful ornaments. 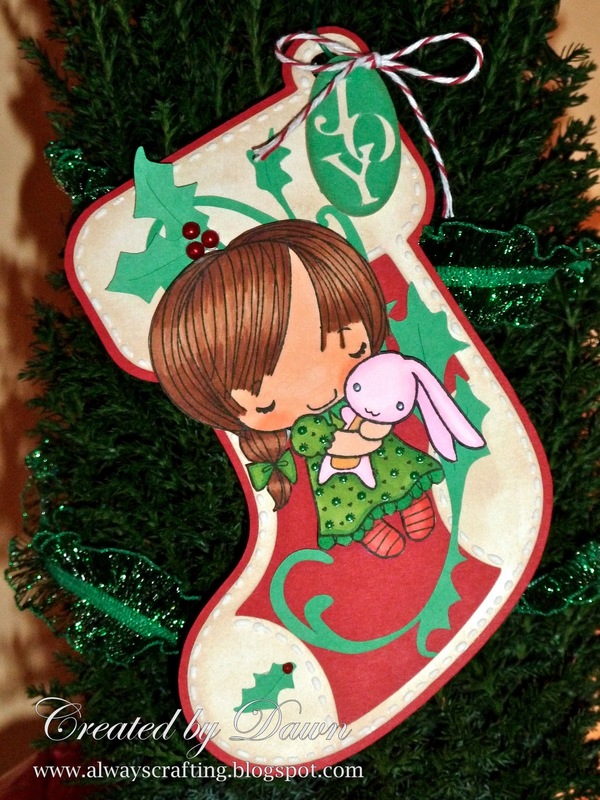 What super-cute tree decorations you have made. Well done. Great coloring. TFS. oh that is soooo sweet!!! HG snuggle is one of my FAVE stamps!! The perfect tags for a gift like the trees! Lovely! O my goodness! Could these be any cuter?! No way!! Love these two stockings with those two adorably colored kids. Perfect tags for any present. Love it!